So Pokemon Go is out now in both the UK and the US and we're all getting into our daily routine of gym battling and Pokemon catching on the morning commute. However, some people aren't happy. Namely. Cyclists. These guys and girls hammer the pedals every day, just like Pokemon trainers always have but instead of being rewarded for their work, Pokemon Go's speed threshold is firmly set at 10mph to make sure people aren't cheating the system. "I bike around town every day to catch Pokemon, covering 15-20km on light days, and I'm lucky to see ~1.5km of progress on my eggs," says HyruleanHyroe on imgur. "I'm not blazing around at high speeds, and I'm still getting plenty of exercise. 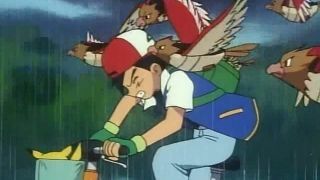 Plus, bikes have been a staple of the Pokemon world since the very beginning. Why can't we ride, Niantic? WHY?" It does seem unfair that cyclists are still going through the exercise motions but not getting the rewards on their eggs but at the same time, this would mean some bus and car journeys bearing Pokemon shaped fruit. Maybe it's just time for some slow cycling, folks... As a commenter on Imgur says "Just lean back, enjoy the scenery and say hi to your neighbours."